Want to get the most out of therapy? Monthly newsletter with free tips how to find the best therapist, benefit your sessions and feel better in general! Fantastic! You’ve made the decision to see and find a therapist! That’s a great first step. Seeking therapy is often times the first step in the right direction and can improve your chances of success dramatically. Like all good things in life, finding a therapist takes times. To make things easier, there are a number of useful websites for finding the ideal suit for you, but before you jump onto those resources, we’ve put together a useful toolkit to help you make the best decision. The better your match with a therapist, the more likely you’ll stick with them which over time will save you money, time and stress throughout your therapy. So What Makes a Great Therapist?! There are many attributes that can define an effective therapist, here are a few of those to help you pinpoint good qualities when you’re about to find a therapist. For many first time clients, therapy can get pretty scary. The idea of speaking to someone you don’t know and sharing a lot of personal information can make you feel very vulnerable. Making sure you are comfortable with your therapist is important. Naturally, you’ll check if they are certified and have all the necessary specialisms to work towards helping you, but if you don’t feel fully comforted by their professionalism, that’s important. Lack of professionalism isn’t something you should worry about and is a very important quality that a good therapist should possess. One of the most important factors. Personality can have an impact on your learning. Matching with a therapist that delivers the sessions with energy and a learning style that works for you can help to improve your chances of retaining information each session. Like a bad teacher at the front of the classroom, making sure you have someone you can learn effectively from will help you to refine your main lessons from each interaction with your therapy. A level of engagement or quality to each session makes a strong therapist and will help you to learn and pick-up key lessons more easily. One of the most important factors during your sessions is making sure your therapist respects your confidentiality. This is something the majority of therapists will be aware of from day one, but making sure they provide you with the correct documentation and provide you with all of that before sessions begin can put your mind to rest. So now begins the vetting process. Making sure you’ve picked the best fit for you is important and doing everything in your power before and after sessions to review the therapist will help to pinpoint which therapist is best for you. – Do they cover your specialist condition? It’s no good selecting a therapist who doesn’t specialize in your condition. Or a therapist that follows a different modality than your own personal beliefs. For instance: someone practicing CBT is very “result-driven” & focuses on doing lots of work outside of session. Aligning their skillset to your condition is very important. In this same process, making sure they are fully certified is vital to matching them with your struggles and concerns. – Have they had a positive track record? A track record is harder to measure within therapy, as case studies aren’t as common, due to the nature of the personal information during sessions. Allowing yourself some time to explore their previous clients and some of their reviews is important. Like you would do if you were an employer, checking this information helps to get a better picture of the results. 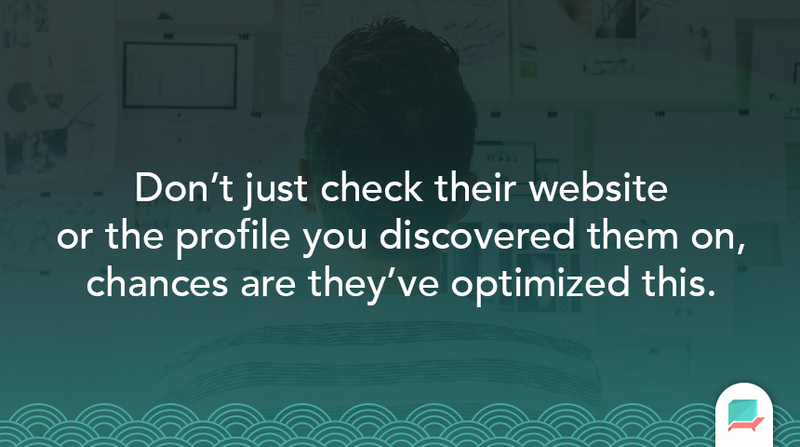 Don’t just check their website or the profile you discovered them on, chances are they’ve optimized this, try other resources like “Rate My Shrink” that could have listings and reports on their past clientele. – Do they fit your pricing or cost per session? Price can add up over time so making sure you are aligned with your budget is vital. Do they charge per session or is it solely for the length of the treatment? These are questions to gather from your first phone call with them to help match up whether it’s right for you. Remember there’s always the chance of using your insurance, so making sure they accept this as part of their policy can help you out as you begin your sessions with them. – Have they produced any clips or videos? More and more popular are therapists creating content on YouTube or other platforms for clients or even for the wider audience to use for their mental health or conditions. This might give you a good idea of their personality and professionalism, so searching for their name on search with videos, can help to get an insight into their typical session before you even meet them. So they’ve passed all of the above and you’ve made sure they have a good track record that attracts you to benefit the first session with them. Great news! So onto the next stage of the process. A first session can give you a good taste of what a full treatment will be like and provide with a plan outline that you can decide to accept or make changes to. There are many questions to ask yourself in this part of the process to help determine whether you’ll move forward with your choice. – Do they act in a professional manner? Keeping things professional is very important throughout treatment. A therapist overstepping the mark can lose your trust and if you are locked into a plan with them, this will reduce chances for the best outcome by the end of the treatment. Making sure they conduct themselves in a professional manner is vital. So how can you tell when this is the case? Very simple elements, like their attire, attitude towards the session, session delivery and approach to recommendations will all be factors in this. You want a therapist that is calm, listens and most importantly knows what he/she is talking about. – Do you like their personality and approach? Personality is valuable when it comes to a session, although not the most important factor, it can really help towards making each and every session engaging. Getting someone that’s fun and kind won’t make the cut, they’ll need to match your sort of personal style. Again, this is optional, but chances are will help to boost results and should be considered when finding a therapist. – Did they set out a full treatment plan? 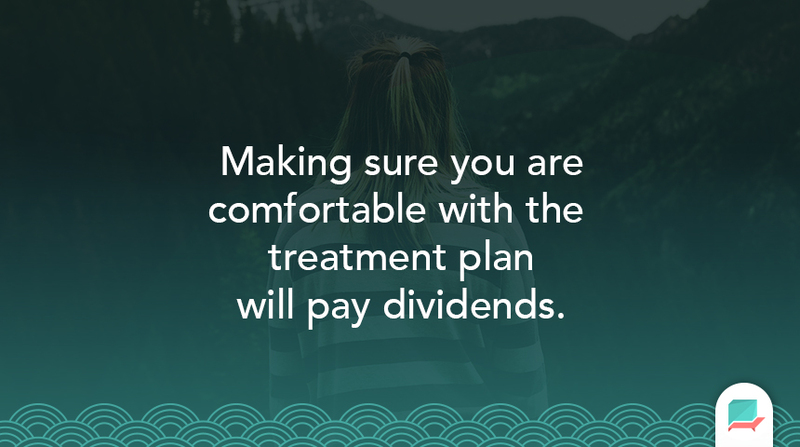 During or after the first session, you’ll get the opportunity to discuss a full treatment plan with your potential therapist. This will help outline the next few sessions and the homework and delivery covering the treatment. Making sure you are comfortable with this will pay dividends. A treatment plan is usually made together with a client during an intake or first session. By the end of your first session, you should have this ready to go. So, do you want to commit?! That’s the question. Ask yourself all of these questions and really try to determine whether the therapist is best for you. Evaluating the first session will give you the best guidebook to whether you should continue. 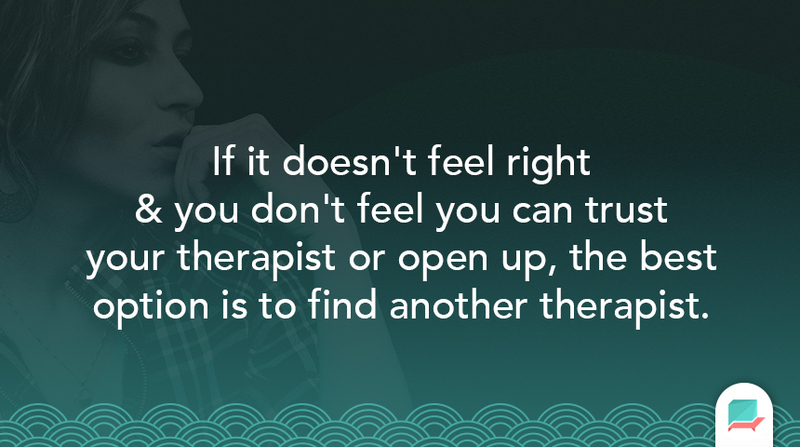 If it doesn’t feel right & you don’t feel you can trust your therapist or open up, the best option is to find another therapist. Remember that cost does fall into this category too, if they are over budget, try to find someone that falls into this category, unless, of course, you are willing to extend your payment for the best therapist for you. So where do you find a therapist? There are a range of websites that we’d recommend to find a therapist in your local area. Remember to check other sources before going ahead as the profiles created on these sites, tend to be created by the therapists themselves. Let us know your recommendations for finding the best therapist. We’d love to hear some of the ways you’ve used.